Having a survival kit packed full of bug out bag essentials is a good start towards coming out alive in any situation. However if you are likely to have to face a cold weather survival scenario you should consider adding specific cold weather survival gear to your kit to maximize your chances. If you live in a cold weather climate you may have these items in your BOB at all times. 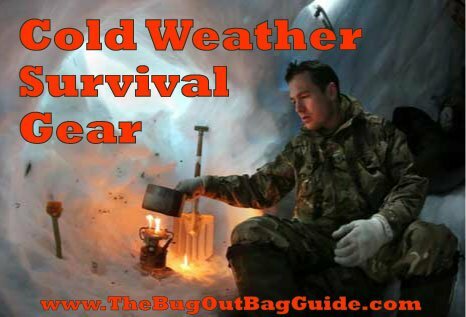 However if you live somewhere that has seasonal changes in temperature, you should include the addition of supplemental cold weather survival gear into your regular bug out bag updates. 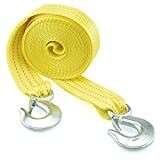 This will greatly help you when breaking trail through the wilderness, digging a fire pit, or when shelter building. If you are going to be shoveling snow a flat shovel blade is suggested. If you will have to be digging into frozen ground a spade or pick end will serve you better. This is a personal choice but bringing one or the other is a smart move. These tools will help you build a shelter and gather firewood as well as many other important tasks. A hatchet will be better at smashing ice and splitting wood but a saw generally weighs less and is better at cutting dead wood for fires. Maximize the space in your BOB by using compact rations that have high calorie values such as MREs, granola or powerbars, energy gels, or nuts. You will be burning more calories than normal so you need to up your intake to keep pace. Having a fire is a key to keeping warm in a cold weather survival situation, make sure you have a high quality fire starting set. A magnesium fire starter will last longer than matches and will work better in wet or windy conditions. Invest in a good one to maximize your odds. Military grade firestarting gel. Better than any tinder. A metal water bottle or canteen is a great multipurpose survival tool in this regard. It will serve as a storage container for the water after you have boiled it and will not crack if the water freezes, like a plastic bottle would. This is another great piece of multipurpose cold weather survival gear. Emergency blankets are relatively inexpensive and in a cold weather survival situation they can be used for wrapping up yourself up to keep in warmth, as a ground cloth to keep you from losing heat to the cold ground and to keep moisture from being absorbed by your clothes, or as a shelter building material. Bivvy sack made of emergency blanket material. Put your sleeping bag inside for extra warmth. Taking care of your feet is one of the core elements of survival. Wet shoes from walking through snow can quickly lead to frostbite. Being immobilized due to this can quickly lead to death. Having a good pair of warm, waterproof boots will eliminate any issues with your mobility and allow you to survive longer. Having a quality sleeping bag rated to sub-zero temperatures is one of the most important pieces of cold weather survival gear you can have. It will allow you to rest when you need to in order to recover your energy. Additionally, keeping warm at night will cause you to burn less calories that would otherwise be spent keeping your temperature up. We suggest one that is rated to -20 degrees F (about -30 degrees C) for starters. If you live in a very cold region get one that is rated for even colder to ensure your safety. As we have discussed in the past tailoring your bug out bag to your survival scenario is a key to having it be as useful as possible when you need it. Adding cold weather survival gear to your kit will greatly increase your chances of succeeding in a winter survival situation. Be sure to pick quality gear, you will not be happy that you saved a few dollars when you are out in the wilderness freezing. As with any survival tools make sure you take any items you select out and familiarize yourself with using them. You don’t want a life or death situation to be when you are taking an item out of its original packaging. Practice your cold weather survival skills and hone the techniques of using your cold weather survival gear for the best results. Do you have a piece of cold weather survival gear that you would recommend? Do you have an innovative use for one of the cold weather survival gear items that we mentioned above? Please let us know in the Comments Section below. If you are one of the millions of people who own a vehicle you should seriously consider integrating it into your bug out plan. However, this can be more complicated than simply throwing your bug out bag in your car and hitting the gas. How can the particular advantages of a vehicle evacuation be maximized? How can we eliminate any negatives? What is the best bug out vehicle checklist to maintain? 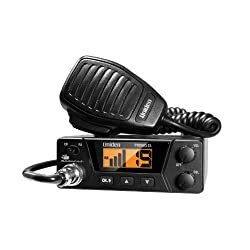 What is the best bug out vehicle for YOUR survival situation? We will walk through each of these points and demonstrate how to effectively incorporate a bug out vehicle into your bug out plan. A vehicle will allow you to travel further faster. This should be explored as part of bug out planning. Is there a better location further away? Just because you can travel further doesn’t mean you have to. Take the best bug out location option, not the furthest. If you can defend a closer location better or cache more supplies there, consider these factors. A vehicle can carry more supplies and survival tools than a person can lug. This is great as a properly planned bug out vehicle checklist can make your ride a mobile bug out location. However, it is important to avoid the temptation of packing EVERYTHING. The goal is to find a balance. Bring survival gear that will extend your independence and raise your odds of survival, not everything imaginable. As always, focus on multi-use items. Additionally, you should not consider even the best bug out vehicle to be a mobile bug out bag. You should always have a full bug out bag packed and at hand in the vehicle in the event that you have to ditch it quickly. Your vehicle can shelter you from rain and wind even if you are out of gas. If it is running it can also provide heat or cooling as needed. This makes it a powerful ally. If a storm is hitting you can simply take cover in your vehicle rather than having to set up a survival shelter. It can also be slept in with no additional modifications. If you are in a pinch you can even cook on the hot engine with proper preparation (how to video below). This will greatly raise morale and increase your odds of surviving. Planning to have the best bug out vehicle for your survival situation is fantastic but you should not consider it as an answer to all potential problems. You still need to plan your bug out assuming that you are going to have to ditch your car, and all the niceties it brings at some point. You may run out of gas or run into an impassable road. Either way if you planned on driving the entire way to your bug out location you are going to need to improvise. Even with the best bug out vehicle you will need to hone those survival skills and plan on hiking to your destination in order to guard against uncertainty. Foot travel is more energy intensive than driving but it is also more versatile. Imagine you have your bug out vehicle checklist planned and packed and when SHTF you go on your merry way to find that everyone else has the same plan. You are now faced with miles and miles of traffic. Is this still the fastest way to bug out? What if rubble and debris cuts off a vital road? When planning your bug out route consider if going on foot is a more direct means of travel as you can cut through terrain rather than having to stick to a road or trail. Traveling by vehicle provides serious advantages as we mentioned above. However even the best bug out vehicle also adds additional complications and costs in volume, weight, and money into your bug out plan. Consider this addition as a whole when assessing what is the best bug out vehicle for your survival situation. A no-brainer when picking a bug out vehicle. This will vastly increase your options when bugging out. A non-4WD car will quickly break down if forced to drive off road. Having a 4WD bug out vehicle will enable you to pass over far more terrain and reach safety faster. Unless you are planning on bugging out in an RV you will want to modify the interior of the vehicle to be more suitable for survival. This may mean taking out seating to allow more storage or making it convertible for sleeping in. It is important to note that although you will want to customize the interior of the vehicle you want to do as little tinkering with the engine and drivetrain as possible. Customization in these areas make repairs and sourcing replacement parts far more difficult. Reliability is key with a bug out vehicle, having stock parts that you may be able to scavenge is an essential element of this. A diesel engine has many advantages over a gas model. They are generally more fuel efficient for one. Additionally, they allow far greater fuel flexibility, being able to run on home heating oil, kerosene, and some jet fuels. This significantly increases scavenge potential while on the road. Diesel fuel also has a far greater storage lifetime than gasoline. With the addition of commercially available fuel stabilizers diesel fuel will last more than 10x longer than gasoline. Having a gas guzzler for your bug out vehicle is a good way to shoot yourself in the foot. 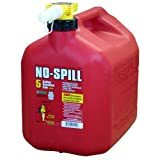 Gas will surely be in short supply and you may not even have the time or opportunity to scavenge additional supplies while on the move. Look for a vehicle that is rated for at least 23-27 MPG to ensure gas efficiency will not be a problem while making your evacuation. Higher MPG would be better but may be hard to find for a vehicle that has good storage capacity. Check out this site for a list of all car models with mpg ratings. Reliability is key with when trying to find the best bug out vehicle. Having stock parts that you may be able to scavenge is an essential element of this. Choosing a vehicle that is widely used and has commonly available parts is ideal. This opens up options for including a bug out trailer as a part of your bug out plan. A trailer allows more cargo space overall without sacrificing passenger seats, which is great if you have a family travelling with you. Additionally, a trailer can be ditched once the supplies within have been used up to improve gas mileage. This should be partnered with any vehicle you intend to take off-road. 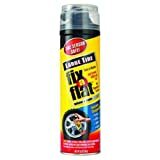 It will save your front end and radiator from damage and also improves your ability to ram trees in the way or doors that need opening. This isn’t required but it sure helps. Manual transmissions increase reliability, improve gas mileage and are easier to fix and replace than an automatic transmission. They also allow you to push start a car if an ignition is burned out or you lose your keys. Spare tire – not a doughnut! What else can I do to make my bug out vehicle great? Beyond stocking up your bug out vehicle checklist be sure to service it regularly. There is no point in having the best bug out vehicle in the world if it is unreliable or won’t run when you need it! Make sure you have a reliable Jump Starter! This is easy and can save your life! This is the one I strongly recommend. Practice driving your intended bug out route to see if your car is up to the task. 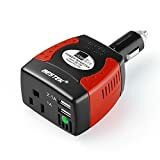 This will also help you identify any difficulties along the way and point out any modifications you may need to make to either the car or your bug out plan. If you choose to use a manual transmission vehicle make sure all the adults in your bug out party know how to drive it. As with any aspect of your bug out plan, redundancy is key. Add vehicle inspection and testing to your regular bug out plan reviews to make sure your bug out vehicle still fits into your strategy. As you can see, there are a lot of options for finding the best bug out vehicle for your survival situation. Understanding them and what works best is an important step towards adding a car or truck to your bug out plan. Adding a bug out vehicle checklist to your bug out bag essentials will additionally help you maximize the advantages of bugging out in a vehicle. Do you have any items you would add to this bug out vehicle checklist? What do you think would make the best bug out vehicle? Please let us know in the Comments Section below. If you thought this post was helpful please Like, +1, or Tweet it using the social media buttons at the top of the page, thanks!